Topics discussed include: balancing academic research and writing with artistic innovation and creation (5:00); a search for authenticity and authority led Jacobs to study the early church fathers, such as Athanasius of Alexandria, where he came to realize the difference of thought between Eastern and Western Christianity (6:45); Ephesians, examining the use of the term “energeia” by Paul, and understanding that faith and works are not in opposition (18:25); ecumenical councils where early church fathers defended the faith by answering the question “What is the faith that we received handed down by the apostles?” (30:20); biblical illiteracy, historical ignorance, and troubling Trinitarian analogies (37:35); the importance of a Trinitarian God as opposed to Unitarian (46:10); the sophistication of the early church fathers and our anachronistic belief that we are more intelligent than our ancestors, theologically speaking or otherwise (53:00); distinguishing between creation and types of causation (55:00); biblical terminology getting lost in translation and the linguistic advantage the early church fathers had over the scholars that proceeded them (1:00:35); understanding the balance between rationality and mystery (1:06:45); addressing the Holy Mystery of the Eucharist (1:15:15); objectivity in academics, distinctions between different systems of thought, and the systems of thought creating the biggest divide between Eastern and Western Christianity (1:21:30); the difficulty of communicating complex issues in a soundbite culture (1:32:30); the importance of Christians being part of a church community (1:20:20); and should Christians confess their sins? (1:42:45). 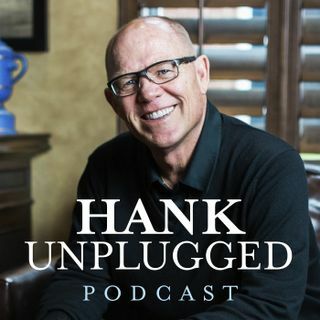 Hank, I'm a Catholic investigating Eastern Orthodoxy and so appreciate your podcast, and this episode in particular. Regarding the concept of divine uncreated energies, have you encountered David Bradshaw, also of the University of Kentucky? He has a wonderful book on this topic called Aristotle East and West. Have you had him on your show, and if not, could you invite him? I'd love to hear what he has to say.